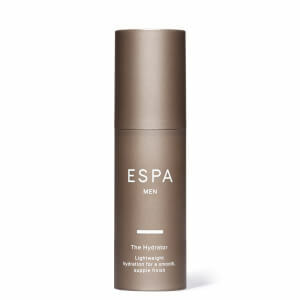 A soothing treatment gel to intensely cool, calm and comfort the skin after shaving while helping to balance oil production and keep the complexion clear. Lemon helps to clarify, while Tea Tree and Thyme ease irritation caused by shaving, leaving skin feeling calm and soothed. 1. Use morning and evening after shaving. 2. Press gently onto face and neck, and smooth into skin until fully absorbed. 3. Follow with your preferred ESPA moisturizer. Water (Aqua), Glycerin, Ricinus Communis (Castor) Seed Oil, Oenothera Biennis (Evening Primrose) Oil, Melaleuca Alternifolia (Tea Tree) Leaf Oil, Phenoxyethanol, Thymus Vulgaris (Thyme) Oil, Glyceryl Polyacrylate, Sclerotium Gum, Citrus Limon (Lemon) Peel Oil, Xanthan Gum, Limonene, Benzoic Acid, Sodium Hydroxide, Dehydroacetic Acid, Ethylhexylglycerin, Citral, Linalool. Smells really pleasant and really soothes the skin after a shave. You don't need to use very much so one tube should last a long time. I absolutely love this aftershave balm it smells amazing and is incredibly luxurious and soothing. 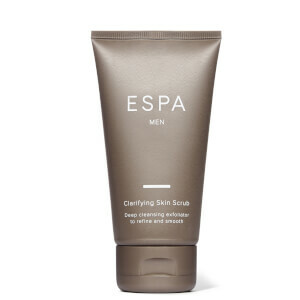 Leaves my skin feeling supple and cooled after a wet shave and really helps stopping development of razor burn. This is now my go to product for day to day shaving and a must for my washkit. A little goes a very long way too, making this excellent value. 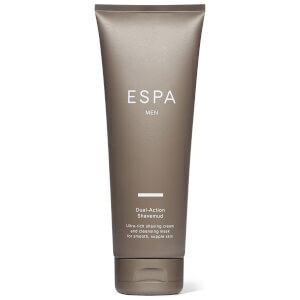 I cannot recommend this product enough it has converted me to ESPA products for life! This is the first time I had bought this one for my husband - we both agree it has a very odd smell - I don't think he will be using it. It works well calming down the skin after shaving;I like the soft cooling down feeling it gives the skin.